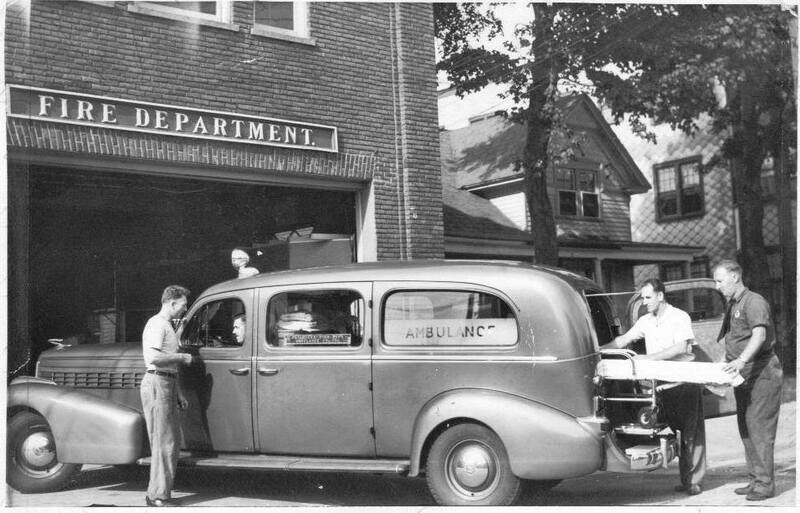 Newman’s Ambulance was established in 1939 when “Papa” Jack Newman and his wife, Virginia started the company with only two vehicles, a 1939 LaSalle and a 1936 Ford. It has remained family owned and operated to the present day. One of Mr. Newman’s first priorities was to be sure all of his employees were Red Cross First Aid certified. It has always been of utmost importance for Newman’s to maintain a staff of highly trained individuals and keep the most advanced technology in their ambulances. They believe this is the key to providing the best quality of patient care. In fact, Newman’s is known for many “firsts” in the area. In the 1940’s, many improvements were made to their emergency vehicles giving them advantages over the other companies in the area. All of their vehicles were equipped with oxygen tanks and air conditioning by 1947. By 1981, Newman’s put their first advanced life support unit on the road. Mr. Newman operated the company as Ambulance Service Company for nearly thirty years before changing the name to what is known today as Newman’s Ambulance. It is Alabama’s oldest private provider of ambulance services and the only locally owned ambulance service in Mobile. Jack Newman passed away in 1998 leaving the company to his eleven children. Today, Newman’s Ambulance operates an exceptional fleet of 15 emergency vehicles that serve the Mobile County area. Newman’s continues to grow and is still one of the leaders in emergency services in south Alabama. Their growth and excellent reputation for providing the highest quality patient care is the result of two factors: a great deal of experience and the constant application of modern practices. Newman’s Ambulance strives to provide high quality patient care for Advanced Life Support and Basic Life Support care. Their provision of transport services for patients locally and state-wide is a key part of their business. They also provide assistance in the Mobile Fire Rescue Department rotation. In addition, Newman’s provides non-emergency services including event stand-by at local high school and college football games, concerts, and other events throughout the area. They also provide wheelchair and other non-emergency transports. It is the mission of Newman’s Ambulance to be the leading local provider of pre-hospital care, medical transportation, and related health services with the highest standard of professionalism, the most advanced technology, and a deep sense of caring for their patients. The Mobile area has seen the presence of several ambulance companies, but the persistence of Newman’s Ambulance and the company’s desire to continually excel and grow has kept them in the field for over 75 years.